Socialization describes the process by which a dog parent creates positive associations for a puppy with the world around them during the early developmental stages of its life. Early socialization is an important component of any foundational puppy training program because it can determine how well your puppy adapts to whatever environment they will be living in. A puppy is most malleable between the age of 3 weeks to 4 months of age, which means it is more likely to accept novel stimulus, or anything new or unknown, as normal and non-threatening during this time period. Since the sensitive socialization window is relatively short, it’s essential to start safely introducing a young pup to a variety of environments, people, and dogs very early on. These early exposures help it to adjust to its new life and prevent the development of fear or guarding-based behavior problems—such as unwanted aggression towards other people and dogs—as the puppy grows older. This is especially true when living in a big city where a puppy is likely to encounter a variety of ethnicities of people, breeds of dogs, and changing environments, as well as an array of loud moving objects such as skateboarders and motorcyclists, on a regular basis. My puppy hasn’t had all of its shots, so how do I socialize them? Veterinarians will tell you not to take a puppy outside for walks until it has had all of its shots, yet research shows that puppies that have not been socialized during the early socialization window of 3 weeks to 3-4 months have a tendency to be insecure or on guard in new environments. This means that, unless puppies are systemically exposed to a variety of stimulus from an early age, anything unfamiliar to a puppy can register as a potential threat and lead to the development of fear or guarding aggression towards other dogs or people. So how does a puppy parent manage to socialize a puppy during this critical time period when it will most readily accept new experiences before it’s too late? The truth is that you are not likely to expose your puppy to communicable illnesses unless you take them to a place where there is a likelihood of infection. Puppy socialization and training: Take your puppy places where they can meet people like a coffee shop or grocery store. Kennel cough is mostly likely to be caught by being in a kennel (thus the name) or daycare. Canine Distemper and Parvo can be transmitted via contact with other dogs, wild animals or contaminated excrement, so it's best to avoid grassy areas where lots of dogs congregate or places where nocturnal animals like raccoons might have left their droppings. You definitely don't want to let your puppy inspect and sniff around where another dog has relieved themselves where there is a high risk of infection, so the main places to avoid are anywhere people regularly take their dogs to socialize like dog parks, public parks, and hiking trails. A good puppy training plan should always include socializing your puppy with other puppies and adult dogs while ensuring the experiences always remain positive. The main thing to keep in mind while introducing a puppy to anyone or anything new is to ensure a puppy is having a positive experience. Since eating food has a calming effect on dogs, it's a good idea to have treats on hands to help create positive associations for a puppy and to calm it down if it seems nervous when introducing it to something new. You must also watch a puppy's body language to gauge how it feels about the experiences it is having. Keep an eye out for the puppy showing signs of discomfort such as a tucked tail, ears pinned back, shaking, or attempts to hide. Sometimes, a puppy is having fun but starts to get overwhelmed, so make sure to give a puppy a break from being handled or played with if they show any signs of discomfort! Here are some ways to safely socialize a young puppy that involve inviting people to your home, bringing them places while you carry them, or taking them somewhere they can be allowed to walk around where there's little risk of infection. A great way to introduce your puppy to a variety of people is by inviting friends, neighbors and family members over to meet your furry bundle of joy in the safety of your home. Ask each guest to gently play with your puppy with its favorite toy and to pick it up and handle it so that it gets used to their voice, scent, and how they look. As an extra precaution, you can ask your guests to take their shoes off when they enter to avoid tracking anything on their shoes through the house. There are lots of places where you can carry your puppy where it can meet other people and where there’s little to no risk of exposing it to communicable diseases. Walking malls tend to power wash the premises on a daily basis so there’s little to no risk of exposing a puppy to a contractable virus or infectious bacteria at one. Puppy socialization can include taking a puppy to a coffee shop where they can experience a new environment and meet new people safely. 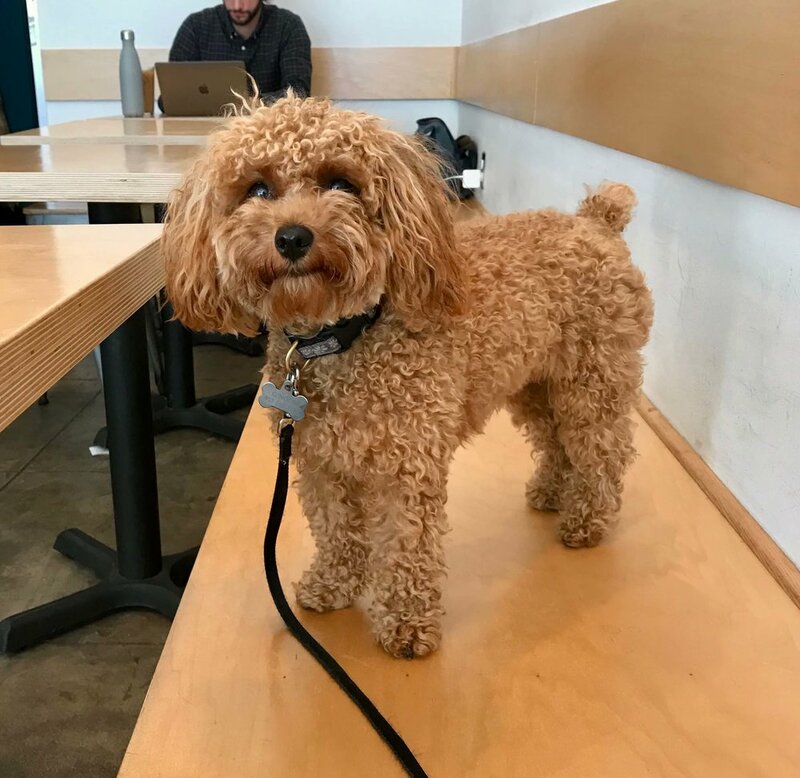 Taking your puppy to a grocery store with outdoor seating is also a very low-risk setting where you are unlikely to expose it to any form of contamination. Many stores like Home Depot will let you bring your puppy inside where you can push it around inside a shopping cart and allow it to get fawned over by fellow shoppers. Lastly, you’re sure to be a hit standing in line with a puppy in your arms at neighborhood spots like the post office or a coffee shop, where you are also unlikely to come across any communicable diseases. Take your puppy on a picnic by spreading out a big blanket and keeping them on a leash so they can observe the world go by. You can take your puppy to the park if you keep it on a leash and bring a big blanket or two to sit on. Simply pack a picnic and your puppy’s lunch and feed your puppy at the park while sitting on the blanket and watching the world go by. This a great way to get your puppy accustomed to skateboarders, bikers, joggers, and an array of everyday sights and sounds. It’s a good idea to stash the blankets in a bag for the transport home and wash them afterward for safe measure! 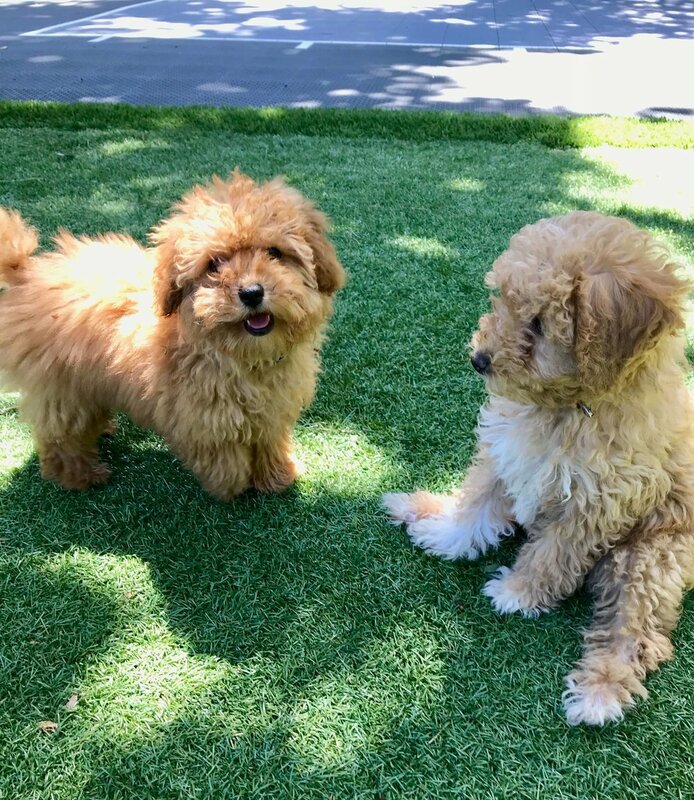 Many veterinarians, daycare facilities, and dog trainers offer puppy socialization playgroups or puppy training classes where puppies can safely meet other puppies in a sterilized and controlled environment. This gives a puppy a chance to learn to read canine communication signals and learn boundaries from other puppies, as well as providing much-needed playtime with their own species. Asking friends, family members, and neighbors if your puppy can play with their dog or puppy one-on-one is a great way to socialize your puppy while letting it burn off some energy. Puppies learn from other puppies and adult dogs about canine communication. That’s why it’s important to socialize them early so they can learn how to read other dog’s body language and signals and feel comfortable around other dogs. One-on-one playdates also make it easier to supervise and moderate interactions between puppies and other dogs since each puppy or dog is managed by its respective guardian or chaperone. A puppy guardian simply stands by to facilitate that their puppy gets along with the other dog or pup but notices if it gets fearful, overwhelmed, or too rambunctious - a sign to remove the puppies from the interaction and give them some time to calm down before allowing them to resume playing. 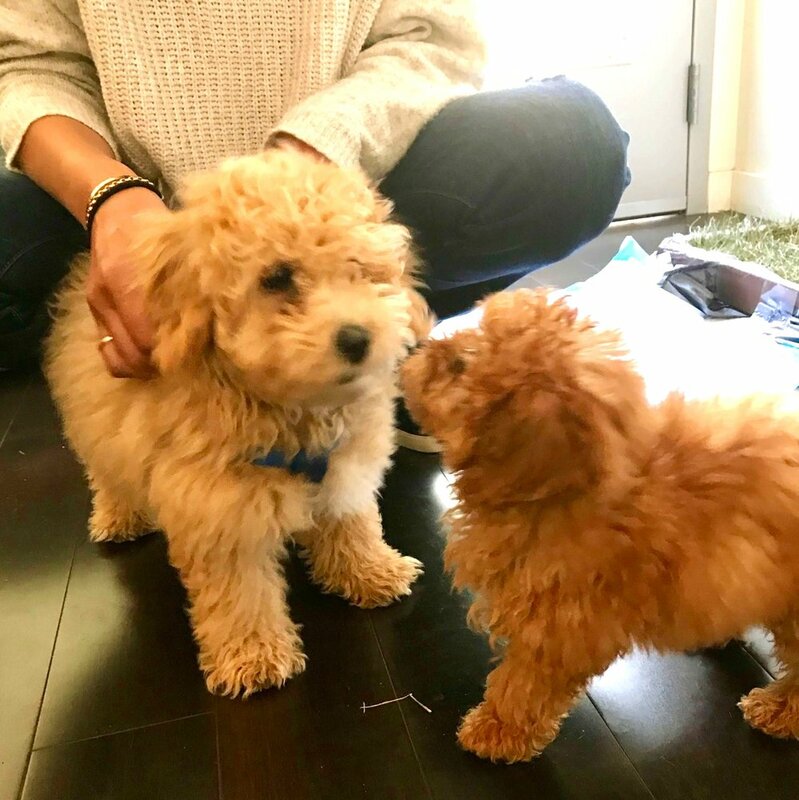 If you don’t know anyone with a puppy, working with a private puppy training company that can organize one-on-one playdates for you with other puppies can be really advantageous. Don’t wait to socialize your puppy!!! Waiting to socialize a puppy until it has all of its rounds of shots can have serious consequences when you live in a city. The chances of a puppy becoming fearful or aggressive towards people and other dogs skyrockets if you don’t facilitate introducing your puppy to the world at large during the early socialization window of 3 to 16 weeks of age. The best way to help a puppy to grow up to be a well-adjusted dog that feels confident and comfortable everywhere and with everyone is to take them out and about in a safe manner (by avoiding high-risk spots) and to invite human and canine friends over to meet your puppy in your home environment. It’s a good idea to ask your vet what diseases your puppy is at risk for and where they are likely to come across them to get a better idea of how you can safely socialize your puppy. If you’d like more information on the communicable diseases your puppy is at risk for, please visit the American Veterinary Medical Association (AVMA) website at www.avma.org. 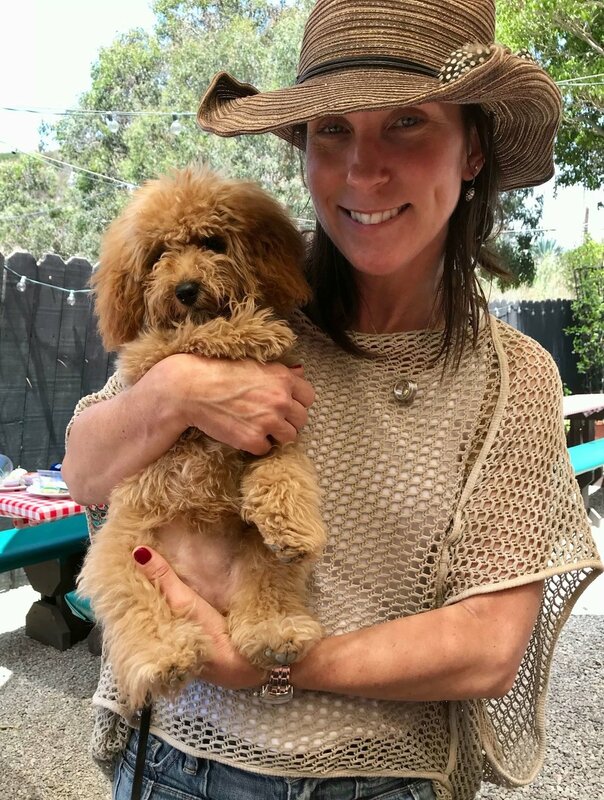 Los Angeles dog trainer Alexandra Bassett is the owner and lead trainer at Dog Savvy Los Angeles, a dog training company that specializes in positive dog training and solving problem dog behavior like dog separation anxiety, leash reactivity, and canine aggression. She is certified as Knowledge Assessed by the Council of Professional Dog Trainers (CPDT-KA) and is available for online dog training sessions via Skype.